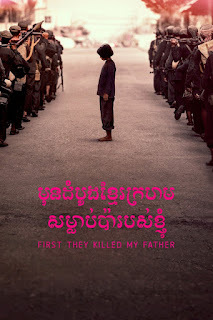 Last month, Netflix released First They Killed My Father, based on the experience of Loung Ung who is a childhood survivor of the Pol Pot regime during the Khmer Rouge years in Cambodia. It is not only a compelling story of individual suffering and the personal toll of a horrific period in history but also a story with galvanizing relevance today. Director Angelina Jolie, who co-wrote the script with Loung, whose book provides the source material. The film peels away the layers of politics and history and gives a human face to the genocide of a quarter of Cambodia’s population. Jolie crafts the story so that we experience the horrors of war, hunger, violence and loss through the eyes of a child. This adds power to the rare moments that bring comfort: a smile, a kind voice, the gentle touch of a hand and, somewhat paradoxically, stunning images of natural beauty. Some critics thought Jolie’s use of beauty weakened the film, but I found it haunting. It brought to mind N.T. Wright’s observation in Simply Christian about how the power of beauty to evoke deep feelings of awe, gratitude and reverence and, according to the monotheistic faiths, give witness to the good creation of a good God also inevitably leads us to question: How can a good creation be full of so much suffering? As we grapple with that, Wright points out that encountering beauty also reminds us of the story of its Creator, who is working to complete what he began: to rescue us and creation. Beauty is a powerful “signpost to a larger beauty, a deeper truth” which our present desperate-to-be-put-right world is destined to be a part of when it is “rescued, healed, restored and completed” at the end of that story. In other words, images of beauty in the midst of suffering can stoke, give form to and fashion to a sharp point a deep ache and longing for that story-end world put right—and galvanize us to take part in that putting-right. And, for me, that’s what it does in this film. During the film, images of refugees today began mentally overlapping in my mind with those seen through Loung’s eyes: News footage of roads strewn with the discarded belongings of refugees fleeing violence in the Middle East. Memories of Syrian children I watched play in the squalor of tent settlements in Lebanon. The haunted eyes of an Iraqi mother as she told me how she found the shattered body of her five-year-old son killed by a bomb. The images of beauty don’t anesthetize Loung’s suffering or that of the refugees I’ve met; instead they acutely sharpen my awareness of suffering—and our call to enter into that suffering. Last spring at the Missio Alliance 2017 North American Gathering, I heard Wright share how the Holy Spirit leads us to “the dark and suffering parts of the world.” As the Spirit leads us through the wilderness of our part in the biblical story and towards the new creation at its end, Wright says we ourselves are “walking models of recreation,” sharing and bearing the pain of the world along the way, reflecting future glory here and now, bringing and being good news and light to the places that need it—just like Jesus. This post is a slightly edited version of my column that first appeared on Mennonite World Review. Image above copyrighted by Jolie Pas/Netflix.